Incredible road frontage to insure your privacy, this 130 ac. 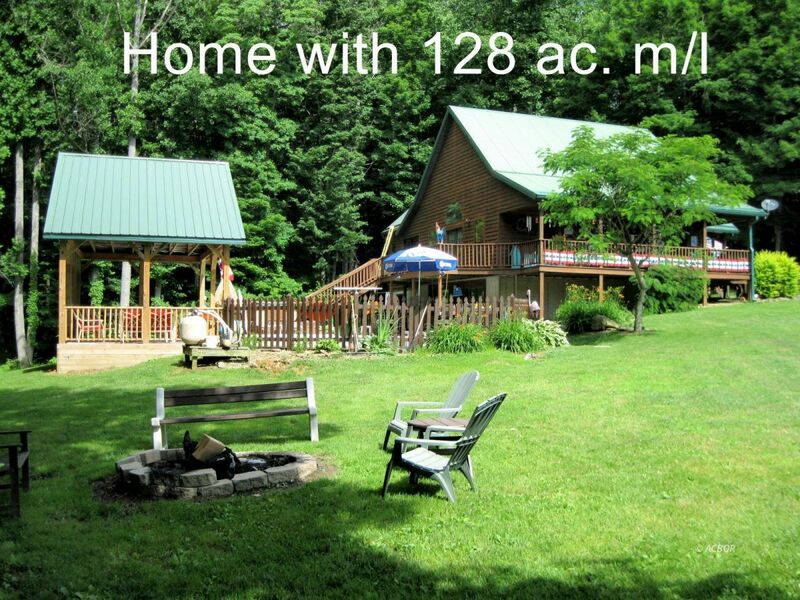 m/l fenced Cattle/Horse farm with a gorgeous 3 bedroom, 3 full bath cedar home built in 2003 with in-ground pool and pool house. Property has 30x40 pole building with concrete floor next to house, a 2nd pole building across road with large concrete feeding pad for animals, another spot where there is a septic system, water and electric. At far end of property sits another 2 bedroom, 1 bath home not currently occupied. Majority of the property is fenced and has water lines installed throughout farm and excellent access. Home is designed with vaulted ceilings and a kitchen you have to see. 1st floor features open living with stone fireplace, large eat-in kitchen, sitting room, bedroom, full bath and screened in back porch. Upstairs is an open loft and full bath. Lower level is a finished walkout with custom bar, bedroom and another full bath. Home has covered wrap porch so you can sit out and enjoy your private world and your only 25 minutes to Athens.